Jimmy Kimmel is coming to 11:35, and the media has pounced on this announcement with reliable enthusiasm. 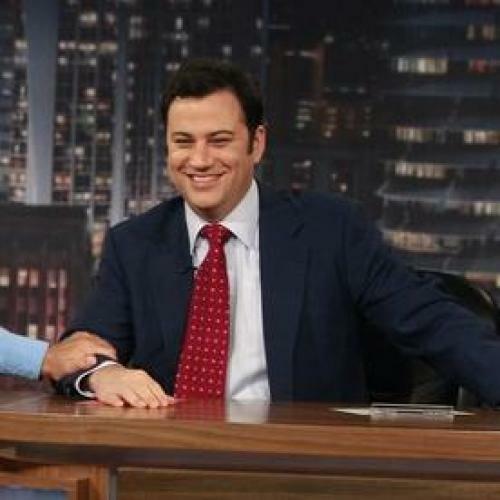 “The late-night TV rivalry is set to heat up in January when ABC’s ‘Jimmy Kimmel Live’ moves to 11:35 p.m., directly competing with Jay Leno and David Letterman,” said the LA Times. “Jimmy Kimmel faces Leno and Letterman head-on in January,” declared USA Today. “It’s Jimmy Kimmel vs. Leno and Letterman in January; ABC moves ‘Jimmy Kimmel Live’ to 11:35, ‘Nightline’ to 12:35,” said The Washington Post. This particular hubbub, with its fixation on 11:35 as late-night holy grail, calls to mind the frantic headlines in 2010 chronicling Conan’s move from 11:35 pm to 12:05 am, his subsequent outrage, and the network’s decision to reinstate Leno in the earlier slot. Why is the media so obsessed with wringing drama from the timeline of late-night TV programming? Hasn’t the actual significance of the time slot diminished somewhat—particularly when it comes to the coveted younger demographics—in the age of DVR and Hulu? It’s true that the 11:35 vs. post-midnight distinction still matters from an advertising perspective. Tim Brooks, a television historian and former network executive, told me that the late-night time slots tend to be DVR-ed much less than sitcoms or miniseries, since viewers are older and watch the shows before bed. But the persistent cultural fixation on the late-night lineup as a collision of personalities, each monolithic and mutually exclusive, feels like a relic of an earlier age—one in which a single King of Late Night reigned supreme. No one could touch Johnny Carson’s ratings, and no one could watch his interviews after they aired. In his final monologue, Carson joked that, out of the 5 billion people in the world, one billion or so would soon have their own late-night talk show now that his reign was over. Today, his vision has almost come to pass. Jon Stewart and Steven Colbert have two of the late-night programs most likely to be streamed or recorded rather than watched live—and they are still among the most visible talk-show-host brands. The public’s lingering preoccupation with the timeline of network programming is partly Bill Carter’s doing. His 1994 bestseller The Late Shift: Letterman, Leno, and the Network Battle for the Night painted the post-11pm network landscape as an epic battle of competing egos. The book was even made into a TV movie with the tagline “Two heads fighting for the late night crown. One head’s gotta roll.” Then, in 2010, Carter published The War for Late Night: When Leno Went Early and Television Went Crazy, which charted the whole Conan mess. Here, Carter described “the tumultuous ride from 12:35 to 11:35” and the feeling of “being released into the free air of 11:35.” The moments before midnight have never seemed so historic and grave. Decades have passed since the era of the Late Night King, and yet the weird sanctity of the late-night time slot is still culturally ingrained. 11:35 vs.12:35: a more tedious drama has never been written. And yet the media continues to follow it breathlessly. The networks care because advertising dollars are at stake. But at this point, why do we?